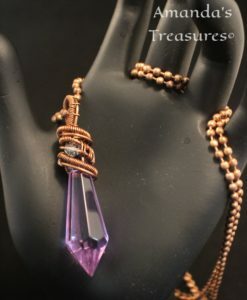 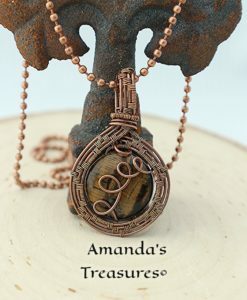 The contrasts of color in this pendant are very dramatic yet the texture looks like luxurious satin. 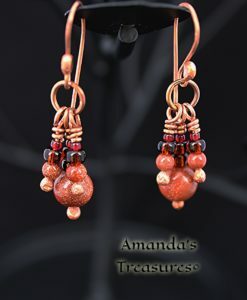 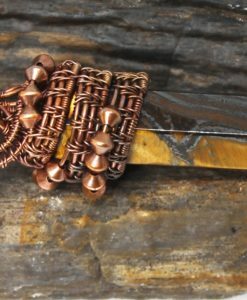 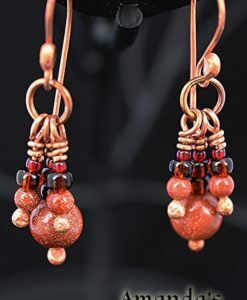 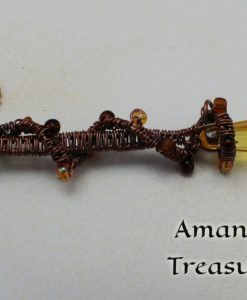 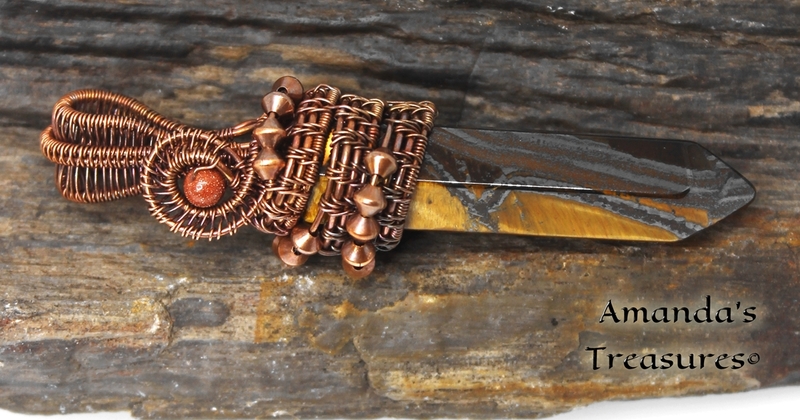 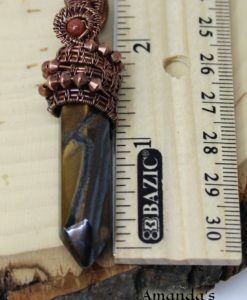 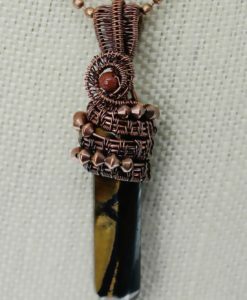 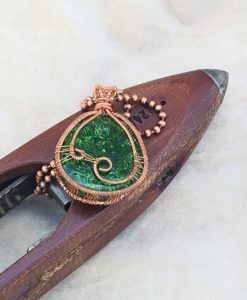 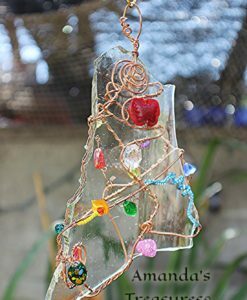 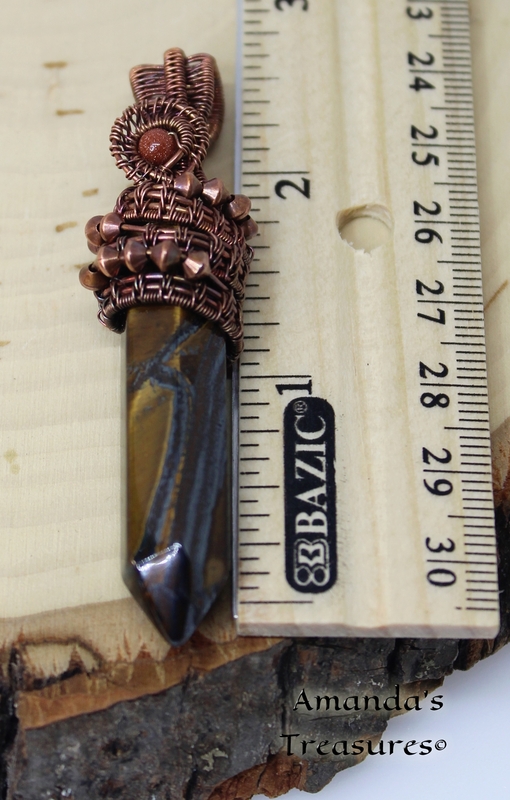 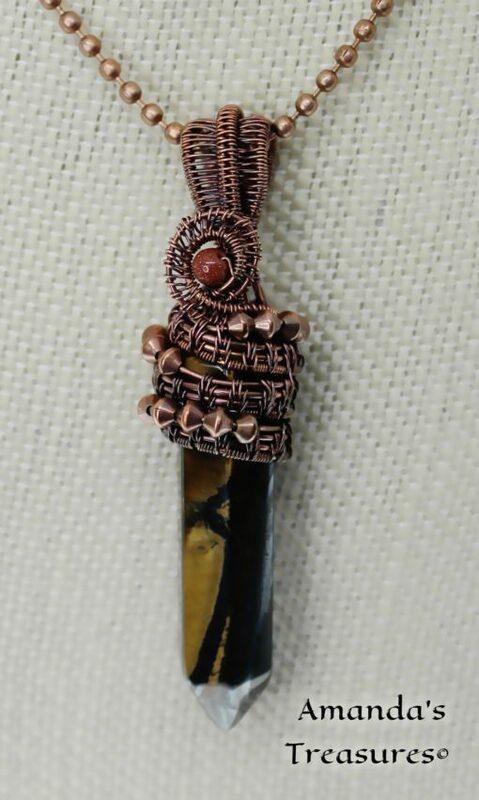 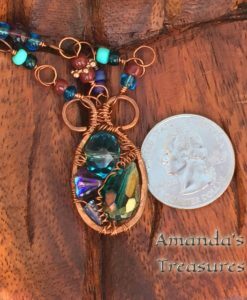 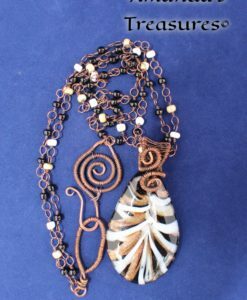 One goldstone bead is woven into the pinwheel at the top of the pendant while the copper bicone beads draw the eyes to the different layers. 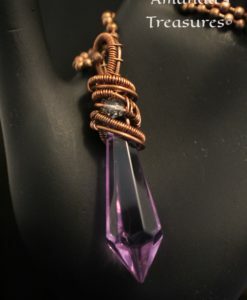 Traditionally this stone was carried as an amulet against ill-wishing. 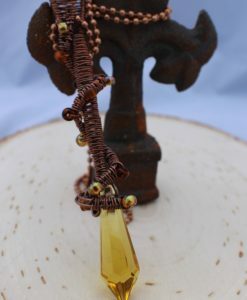 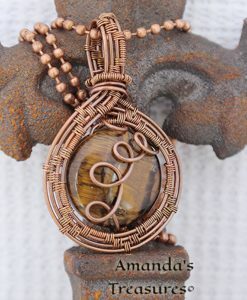 Tiger’s eye is found in Africa, Brazil, India, Burma, Western Australia, and the U.S. 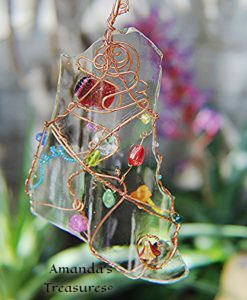 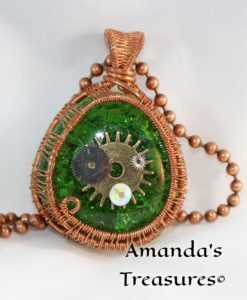 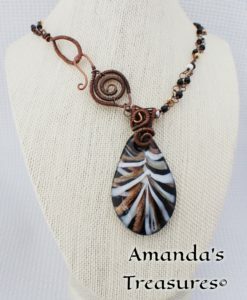 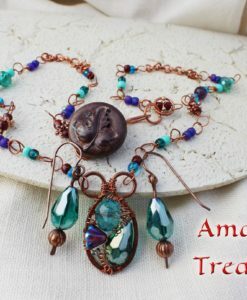 Handmade Original Design By Amanda’s Treasures.